Davy Crockett (television) The most well-known of all the Disney television shows. The shows won an Emmy Award for Best Action or Adventure Series in 1956. They started a national craze and raised Fess Parker to stardom. Because of their fame, many people erroneously believe that it was a lengthy series. In fact, there were only three shows the first season (1954-55) of the Disney television series, ending with Davy’s death at the Alamo. By then, however, the series had become so popular that Walt Disney realized too late his mistake in killing off his hero at the end of the third show. So, he made two additional shows the next year based on legends of Davy Crockett. Thus, there were only five hour-long episodes starring Fess Parker. The shows were combined to make two theatrical features. The Davy Crockett craze started a run on coonskins, both real and artificial, as kids across America yearned to dress like their frontier hero with the telltale cap. “The Ballad of Davy Crockett” rushed to the top of the Hit Parade, and remained there for 16 weeks. 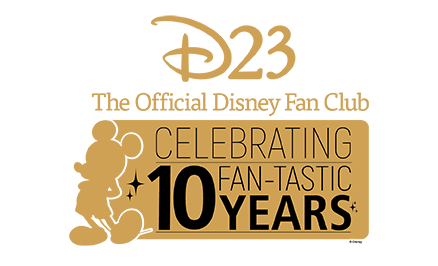 In all, the nationwide Crockett frenzy helped Disney licensees sell $300 million worth of merchandise. 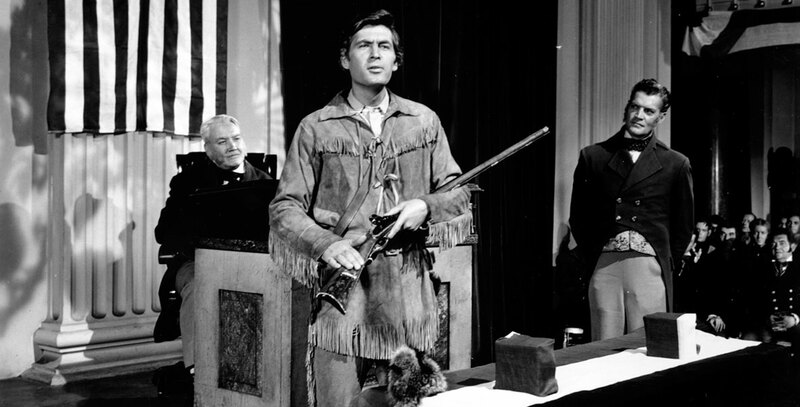 Fess Parker was never able to match the success of his Davy Crockett role, though he did don frontier garb again and star in a popular Daniel Boone series for NBC in the 1960s. Five more Davy Crockett episodes were made by Disney in 1988-89 starring Tim Dunigan as Davy and Gary Grubbs as George Russel. These shows were entitled Rainbow in the Thunder (2 hours, 11/20/88), A Natural Man (12/18/88), Guardian Spirit (1/13/89), A Letter to Polly (6/11/89), and Warrior’s Farewell (6/18/89). The new series tried but failed to rekindle the enthusiasm of audiences which Fess Parker’s episodes had seen almost four decades earlier.